Charge up to 3x faster with the smallest portable charger on the market. It’s so easy to use and install that all you need is a 240V outlet. The ideal solution for plug-in hybrids (e.g. Chevrolet Volt, Ford Energi) and many battery electric EVs (e.g. Nissan Leaf, Fiat 500e, Kia Soul, Ford Focus). Charge your EV 3x faster than your Level 1 cordset. 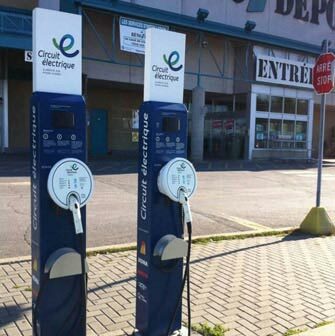 Charge up to 5x faster with our reliable, safe, and easy-to-use EV charging station. Preferred by leading automotive brands such as Nissan, Ford, Fiat, Mitsubishi, and Kia. Perfect for those all battery electric EV drivers who want to minimize charge time and get back to what’s important in life. Charge your EV 5x faster than your Level 1 cordset. With this electric car charging guide, you will learn everything you need to know about charging. Before we get into those concepts, it’s good to know the various terms used for charging stations. They usually all refer to the same thing. There are two types of charging at home: level 1 charging and level 2 charging. Level 1 charging happens when one charges the electric vehicle (EV) using the charger included with the car. These charger can be plugged with one end into any standard 120V outlet, with the other end plugging directly into the car. Level 2 chargers are sold separately from the car (although often purchased at the same time). Those chargers need a bit more of a setup, as they are plugged into a 240V outlet, which often requires the work of an electrician. For any electric vehicle or plug-in hybrid, the use of a level 2 home charging station is recommended to benefit from all the pros of driving electric. It is the connector used to charge the most popular EVs, such as the Kia Soul EV, Nissan LEAF, Ford Focus EV, and many more. It is also the charger used by most Level 2 public charging stations. With a level 2 charger, it takes around four hours to fully charge a 30 kWh battery car (standard battery for full electric cars), which allows you to make the most out of driving your EV, especially when you have a limited time to charge. In most cases, fully charging your car at home will be enough to meet the needs of your daily commute, and then some. 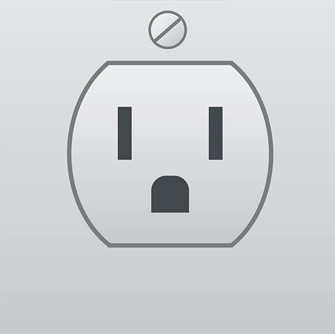 Another advantage of home charging is the low cost of electricity compared to public charging. Some governments have incentives in place to make level 2 home charger purchase and installation more accessible. In the USA, we recommend you to check your government’s website to discover the available subsidies. Quebec: $350 off the retail price and $250 off the installation costs. There are 3 standard charging levels to charge your electric car. All electric cars can charge on Level 1 and Level 2 stations. However, some vehicles cannot charge at a Level 3 (also known as a DCFC or fast charger). Knowing your vehicle capabilities is therefore very important. The Level 1 is the standard wall outlet. It is the slowest charge level. Several hours are required to fully charge a vehicle. The Level 2 is the typical EV plug you’ll install in your garage for example. Many public charging stations are Level 2. RV plugs are also considered Level 2’s. Tip: Charging at a DCFC station is only effective if your battery state-of-charge (SOC) is below 80%. After that point, charging will slow down significantly. The most common connector is the Level 2 J1772 EV plug. All vehicles can use this connector standard in Canada and USA. One way to remember Level 3 connector compatibilities is to look at the make. Asian: Nissan Leaf, Mitsubishi i-Miev, etc. These cars use the CHAdeMO connector standard. American / European: Chevrolet Bolt, Chevrolet Spark, BMW i3, Mercedes, Volkswagen, etc. These cars use the SAE Combo CCS standard. Tesla: Model S and Model X. Tesla uses its own Tesla connector standard. Before driving to a charging station, it is important to know if your vehicle is compatible with the connectors available. This is especially important for non-Tesla DCFC stations. Some may have just a CHAdeMO connector, others just an SAE Combo CCS connector, and others will have both. Also, some vehicles, like the Chevrolet Volt – a plug-in hybrid electric vehicle, is not compatible for Level 3 stations. Make sure you know your vehicle compatibilities before planning a trip. How does workplace charging work? Workplace charging works very similarly to home charging. It is offered by an employer to their employees. The employees therefore have access to parking spaces with charging stations during the day. These stations are usually level 2 stations, and many regions have incentives in place to encourage their implementation. When combined with home charging, workplace charging can double your daily electric range. This is particularly interesting for plug-in hybrids, as you can use the electric motor for longer distances and therefore save on fuel. Level 2 charging allows you to charge faster, which is particularly interesting for part-time employees or for workplaces where employees are not in for the entire day. The electricity costs of workplace charging are often taken on by the employer, which means employees can charge at work for free. In other cases, the employer charges fees to use the charger, but the cost is usually lower than that of a public charging station. 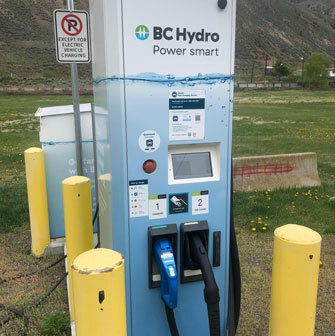 In order to encourage employers to install charging stations for their employees, many governments have put in place programs that reduce purchasing and installation costs, as well as different advantages for the employer. However, many employers are unaware of the existence of these programs, and it falls on interested employees to talk to them about it. Alternative Power and Electric has a new site! Author alternativepowerelectricPosted on April 11, 2019 April 1, 2019 Tags Car Chargers, Circuit Breakers, Commercial Electrical, Generator, LED Lighting, Residential ElectricalLeave a comment on Alternative Power and Electric has a new site! When the weather is bad–rain pounding the roof, wind shaking the windows, thunder rumbling through the air, lights flickering off and on–you know the power could go out any minute. Other times the power goes out with no warning, and there’s no telling how long it will last. Most people have a mini panic attack when this happens. They scramble around, looking for a flashlight or candles. Then they check their phones for news, nervously glancing at the battery life icon every ten seconds. Living without power is a huge adjustment. Even if it’s only out for a few hours, your whole routine is disrupted–no TV, no microwave, no dishwasher, nothing. But as long as you know what to do, it doesn’t have to be a major disruption. When the lights go out, the following things should be done in order to stretch resources, keep your family calm, and make the power outage more tolerable. This contains things like flashlights, batteries, an emergency radio, and so forth. Keep it in a place you can easily find in the dark. This is just in case the power outage is extensive and the water sanitation system isn’t functioning. The water you pull out immediately after the outage will be safe to drink. This includes your computers, laptops, gaming systems, cell phones, etc. Anything that has sensitive electronic components should be unplugged to protect it from a power surge when the power does come back on. This is to give you an idea of how widespread the power outage is. See if your neighbors have power or not. If you’re not sure why the power went out, call the power company. They will often have a recording indicating why the power is out as well as an estimated time before restoration. It may take 15 minutes or so before the recording is put up. You can also check the power company’s website via your smart phone. Your local stations will probably announce a widespread outage, but you may need to turn to an AM station for more information. You may also be able to get information from your cell phone if you have emergency alerts enabled. This way everyone can move around without fear of tripping over something. Glow sticks are also an option. Candles do not make good portable lights and should be left stationary. Place them in Mason jars or on secure candle holders with a plate or tray underneath. Keeping the candle in a jar prevents it from accidentally being tipped over and keeps the wax in one place. Here are some other lighting options. The food in the fridge will stay cool for 4 hours without power and the food in the freezer will last up to 24 hours. Once the food in the freezer has thawed, you only have a short while to eat it before it becomes a food safety issue. Save canned foods and non-perishables for last. Once the refrigerator food has been diminished, eat the food in the freezer. Don’t continuously open and close the refrigerator. Grab everything you think your family will eat at one time. Cover the windows with blankets to trap in the heat as well. You may be better off huddling in a small room together with the family. The body heat will help keep the small space warm. Sadly, power outages are the perfect opportunity for thieves to take advantage of the darkness. Make sure your home is secure. You might need them for news alerts or communication with friends and relatives. You can use a car charger, or better yet get a solar device charger. Remember, you should never run a generator in the house as the fumes can be deadly. Also keep in mind that portable generators can only run one large appliance, like a refrigerator, and a few lights at a time. That means you may have to switch back and forth between a refrigerator, a space heater, and so forth. Especially elderly neighbors who might not be as prepared as you are. Make sure they have a flashlight, water, and food. Pass along any information you have gleaned about the outage and how long the power is expected to be out. Make sure you check back every hour or so if you’re concerned about their safety. The single most important concept in creating a good lighting plan for the home is to use an array of different types of lighting. “My best advice whatever you’re doing, whatever you want to achieve, is to create three layers of lighting—ambient, task and accent,” says Patricia Rizzo of the Lighting Research Center. Too many people make the mistake of expecting one type of lighting to do it all. Each type meets a particular need. Also called general lighting, ambient lighting provides overall illumination for a room, and is intended to create a uniform light level throughout a space, independent of any special lighting that may be needed in targeted areas of a room. In most home settings, when a person steps into a room and flips on a switch, ambient lighting illuminates the space. Ambient lighting takes many forms, including: ceiling-mounted or recessed fixtures that direct light downwards; wall sconces or floor-lamp torches that wash the walls with light; cove, offsite and valance lighting that bounces light off ceilings and walls. Targeted to a particular area of a room, task lighting is intended to illuminate a specific function. Areas of a home that require task lighting include kitchen counters where food will be prepared; living room seating areas where reading will take place; and home office desk surfaces where paperwork will be done. In a kitchen, under-cabinet lighting provides task lighting for a counter top; in a living room, a table lamp is often used for task lighting to accommodate reading. Also called highlighting, accent lighting draws attention to a particular object, such as artwork, sculpture, plants or bookcases. Accent lighting is often used outdoors, to highlight a beautiful tree, plant or water feature, or to draw the eye to a particular area of the landscape. Recessed or track lighting is often used for accent lighting, with adjustable fittings that allow light to be focused precisely even on a small object. When planning the layers of light in a room, it usually makes sense to consider the ambient lighting first, then consider task and accent lighting. “I like to move from general to specific when planning the lighting for a room,” says lighting designer Markus Earley of Providence, R.I. With rooms that are heavily task-oriented, however, such as home offices, some designers focus on task lighting first. And in a hallway that doubles as a photo or art gallery, accent lighting might be the first consideration.